Collects Defenders (1972) #42-57 and material from FOOM #19. 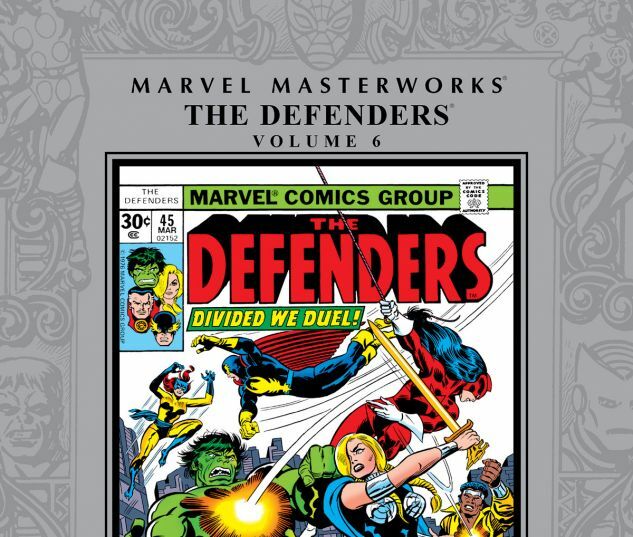 The Defenders, Marvel’s “non-team” with an ever-changing roster, brings together its most famous members (Doctor Strange, the Hulk, the Sub-Mariner) with new comrades (Red Guardian, Moon Knight, Nick Fury) and fan-favorites (Luke Cage, Hellcat, Valkyrie, Nighthawk) — and the result is nothing short of classic! 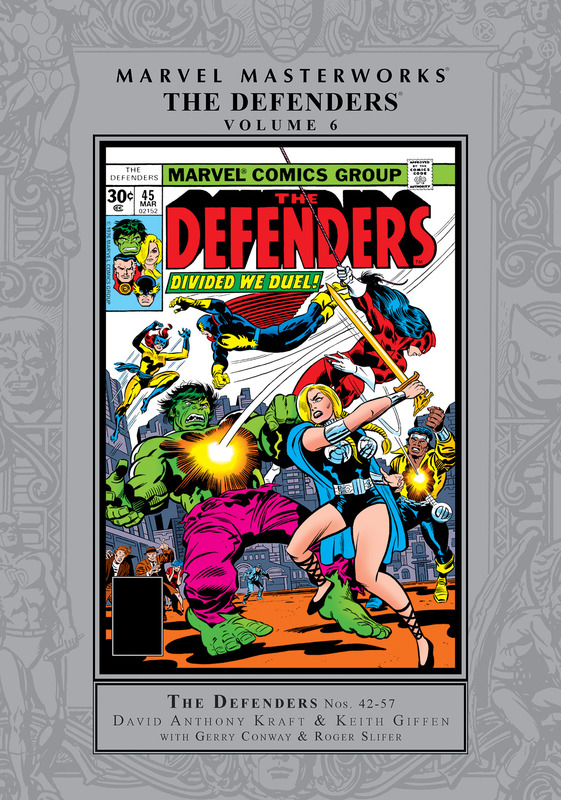 The creative team of Kraft and Giffen jump into the series feet first and spin some of the Defenders’ greatest adventures: Doctor Strange, possessed by the Red Rajah, becomes a mystic threat to the entire universe! Scorpio and his Zodiac launch a kidnapping conspiracy involving S.H.I.E.L.D.! Valkyrie struggles to reclaim her life! Also featuring an all-new Emissaries of Evil, the origin of the Red Guardian, Atlantean mega-monsters and the debut of Lunatik!